The lush green forests and fertile vineyards of Australia's South West provide the backdrop to this coastal adventure, whilst marine wildlife can be found in abundance off-shore. Follow a beautifully rugged coastline in search of whales, dolphins, penguins and more. Along the way explore deep caves, isolated lighthouses, towering karri forests, and the world-renowned wineries that lie scattered throughout the Margaret River region. Continue along the south coast via historic Albany to Esperance, gateway to five national parks including Cape Le Grand, famed for its dazzling sandy beaches and excellent hiking opportunities. This itinerary provides fantastic coverage of South Western Australia and can be combined with our Western Reef Adventure to provide an epic West Coast road trip! This self-drive has two alternative endings for those on a slightly limited time frame. This itinerary is available all year round, however the whale migration occurs between June - December. Arrive in Perth and transfer to your hotel. This morning collect your rental car. Today is at leisure to explore the highlights of Perth and Fremantle. You may like to visit Kings Park Botanical Gardens, Cottesloe Beach or historic Fremantle with its cosmopolitan cafes and restored historic buildings. Alternatively you may wish to visit Rottnest Island; a car-free slice of paradise ringed by secluded bays and beaches. Today begin your journey south to Margaret River. Just 45km south of Perth, stop at Rockingham and spend a couple of hours exploring Shoalwater Islands Marine Park. 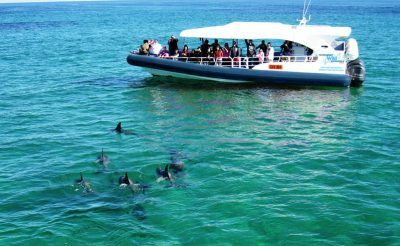 Enjoy a dolphin, penguin and sea lion adventure watching cruise, and learn about the fascinating array of wildlife in the marine park. After lunch continue through the towns of Mandurah and Bunbury to Busselton, located on the shores of Geographe Bay. The Busselton Jetty, all 2km of it, is the longest wooden jetty in the southern hemisphere! Walk or take the toy train to the very end and descend 8 metres to the Underwater Observatory to view some of the 300 different marine species that live beneath the jetty. Continue to Margaret River. 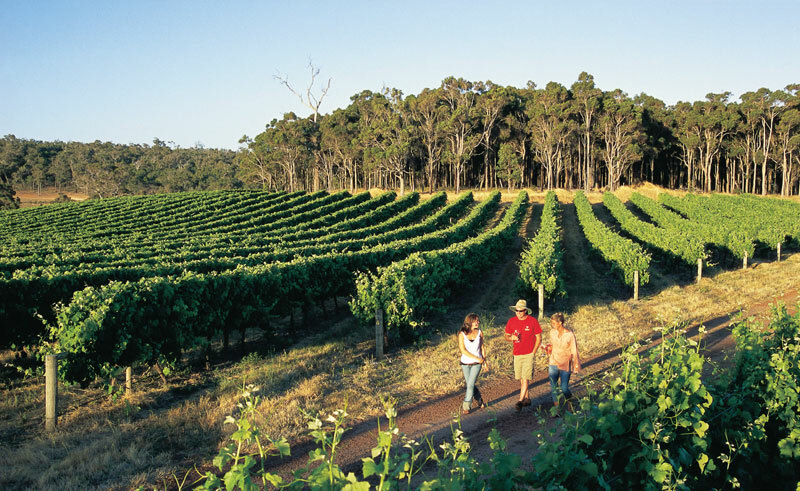 Margaret River is well known for its award winning wines, fine food, pristine beaches and breathtaking scenery. Today enjoy a guided winery tour that visits five different establishments from boutique wineries to mass producing vineyards. Meet the producers and gain real behind the scenes access into WA’s largest wine producing region. Throughout the tour you will enjoy exclusive wine pairings as well as a winery platter for lunch. 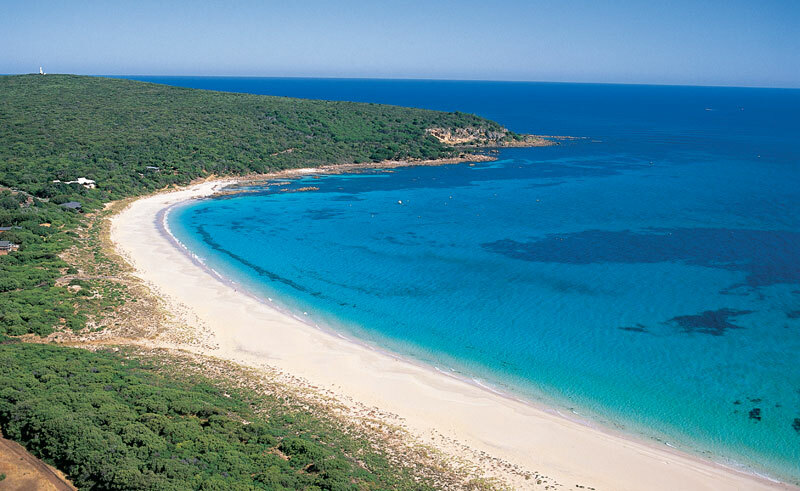 The Margaret River region is fringed with some of the most pristine coastline in the world. 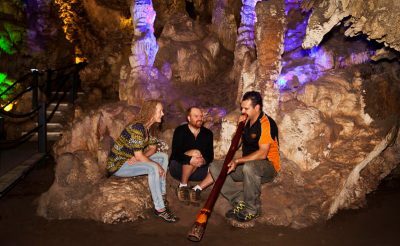 This morning explore the region’s extensive underground cave network on an Aboriginal Cultural Cave Tour. This afternoon drive to the town of Augusta, located right on the tip of Cape Leeuwin, the most south-westerly point in Australia and enjoy a two hour whale watching tour to witness majestic humpback and southern right whales in their natural habitat. If travelling between May-August the whale watching cruise will depart from Augusta. If travelling between Sept-Dec, the cruise will depart from Dunsborough. Depart Margaret River this morning and drive towards Albany. Albany’s dramatic coastline is mirrored by its tempestuous past as a landing point for incarcerated convicts as well as home to a once thriving whaling station. Fringed by green seas, tall forests and national parks, Albany offers a wealth of adventures, from fishing and diving to hiking and sailing. Today is free for you to explore. Enjoy the ocean vistas from Torndirrup National Park, where the jagged granite coastline was once part of Antarctica. Walk to the top of Stony Hill for views over Albany towards Stirling Range National Park and in season admire the spectacular wildflowers that blossom there. For those travelling between late May and August, majestic southern right and humpback whales glide past Albany on their annual migration. See these magnificent creatures mating and calving in the vast, green seas of King George Sound, alongside sea lions, dolphins and sea birds. Learn more about Albany's destructive past at the interactive whale museum, once a whaling station or delve deeper into Albany’s history at the National Anzac Centre. Today you will make the journey from Albany to Esperance. Esperance is a beautiful coastal town home to remote national parks, white sand beaches and turquoise waters filled with an abundance of marine wildlife. 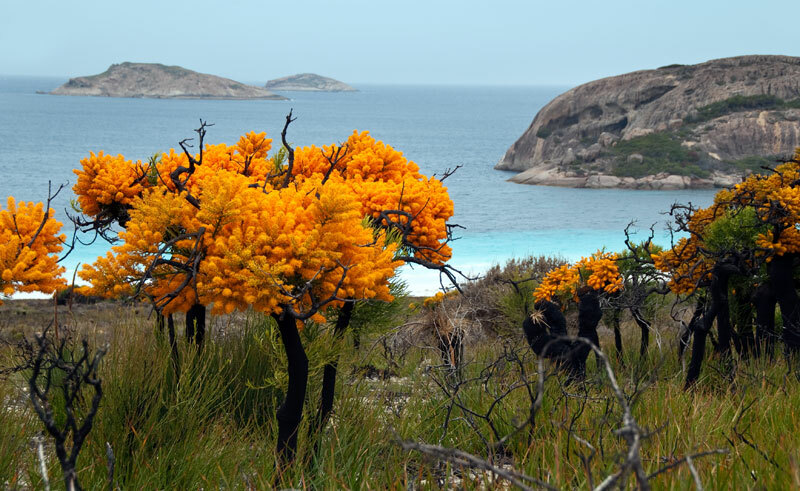 Today enjoy the wildlife and national parks of Esperance and the surrounding region. The Cape Le Grand National Park is only 56kms from the town centre and boasts spectacular scenery, dazzling beaches and excellent walking tracks. A highlight of the national park is Lucky Bay, rated one of Australia’s best beaches for its pure white sand, turquoise water and perfect swimming conditions. If you're lucky you might just spot kangaroos lazing on the beach! Further east is Cape Arid, which is also a popular park for hiking and fishing. Spend today at leisure exploring the local area. A great scenic drive from the town centre is the 38km tourist loop called the Great Ocean Drive, which takes in the sheltered surfing and fishing beaches, the wind farms, Observatory Point and the Pink Lake. In town you can also visit the Tanker Jetty where the resident sea lion "Sammy" lives. Wildlife Cruises around the bay area and out to the islands are also available. Today you will start the journey back to Perth, stopping overnight in Hyden. 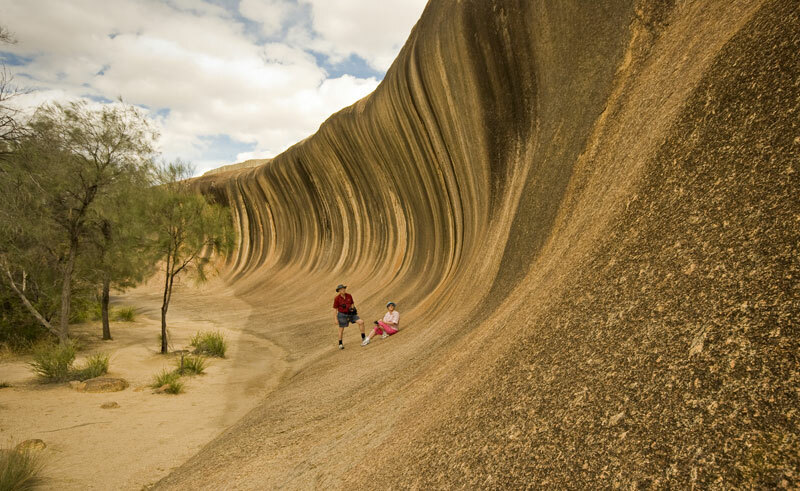 Nearby Wave Rock, formed some 60 million years ago by weathering and water erosion is well worth a visit. Standing at 15 metres high and 110 metres long, this granite cliff looks remarkably like a huge wave, frozen in motion. Geologists believe the rock has been shaped over 2.7 billion years by the elements. Continue onto Perth from Hyden. On arrival in Perth drop off you rental car and spend the rest of the day at leisure in the city. Make your way to the airport and depart. 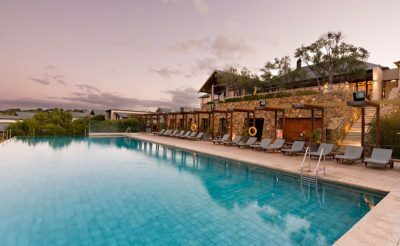 This property offers a variety of villa style bungalows and features a stunning infinity pool overlooking the breathtaking coastline. 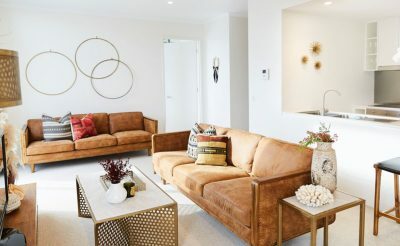 Located in the heart of recently re-developed East Fremantle, less than 17km from the gateway to Western Australia, Perth, this brand new property epitomises the trendy, laid-back vibe for which Fremantle is so renowned. On this tour led by an Aboriginal guide you will learn about the history of Ngilgi Cave, taste bush tucker, learn about bush medicine and hear about the fascinating history of the land and its Aboriginal caretakers on this informative cave tour. 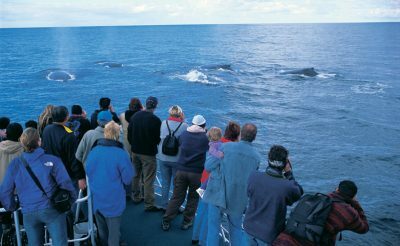 View humpback whales, southern right whales and the rare blue and minke whales on both their northern and southern migrations through the waters of Cape Naturaliste. On this 90 minute cruise and walking tour you will get up close and personal with wild dolphins, watch sea lions bask on Seal Island and visit Penguin Island, home to Western Australia’s largest colony of little penguins. 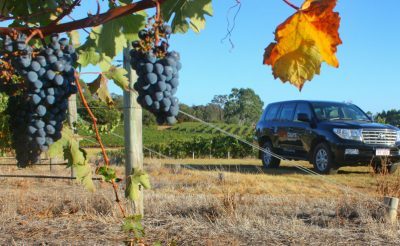 This award winning small group too will allow you access into Margaret River’s most exclusive wineries.